The Fill the Nutrient Gap* tool is used to identify which nutrition specific and nutrition-sensitive interventions are most appropriate for a given context to improve nutrient intake, one of the two direct causes of malnutrition (the other cause being disease). Any intervention should ultimately result in an improvement in nutrient intake. The tool has been developed by the WFP with technical support from research institutes: the University of California Davis; the International Food Policy Research Institute (IFPRI) (Washington DC); Epicentre (Paris); Harvard University (Boston); Mahidol University (Bangkok) and the United Nations Children’s Fund (UNICEF). FNG provides a framework for strengthened situation analysis and multi-sectoral decision making that identifies context-specific barriers to adequate nutrient intake among specific target groups. It engages different sectors to propose cost-effective strategies to overcome barriers. It has been used in more than ten countries to date. The FNG combines review of secondary data and information with LP analysis using the CotD software developed by Save the Children United Kingdom. The FNG analysis considers a range of factors that reflect or affect dietary intake, including local malnutrition characteristics; the enabling policy environment; type and availability of nutritious foods in local markets; affordability of nutritious foods; nutrient intake; local practices; and cost optimization. The consolidated information is analysed and the findings are reviewed by a multi-sectoral group of stakeholders, at relevant levels, to come to a shared understanding of the issues, context and solutions. Through this consultation process, context-specific optimal policy and programme actions, including possible entry points for interventions, are jointly identified for different sectors, for example, health, social protection and across the food system, and stakeholders from the public and private sectors. 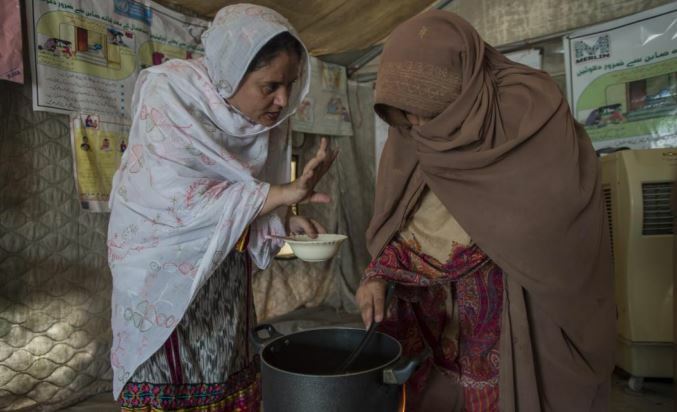 In Pakistan, the FNG process began in late 2016 under the leadership of the SUN Focal Point at the National Ministry of Planning and Development, with support from WFP and in collaboration with the SUN Core Group and National Nutrition Committee, made up of representatives from government, UN, donors, international NGOs and the private sector (via the SUN Business Network). Multiple stakeholders from a range of sectors (representing nutrition, food security, agriculture, health and education/ academia) were engaged to introduce the analysis, define the scope of the FNG and identify and consolidate the secondary data. Over 190 data sources, from national health surveys to district-level qualitative studies, were reviewed and any identified data gaps were followed up to ensure that all relevant information was considered. Meetings were then held to gain insights on preliminary findings from the analysis of secondary data and intervention modelling. 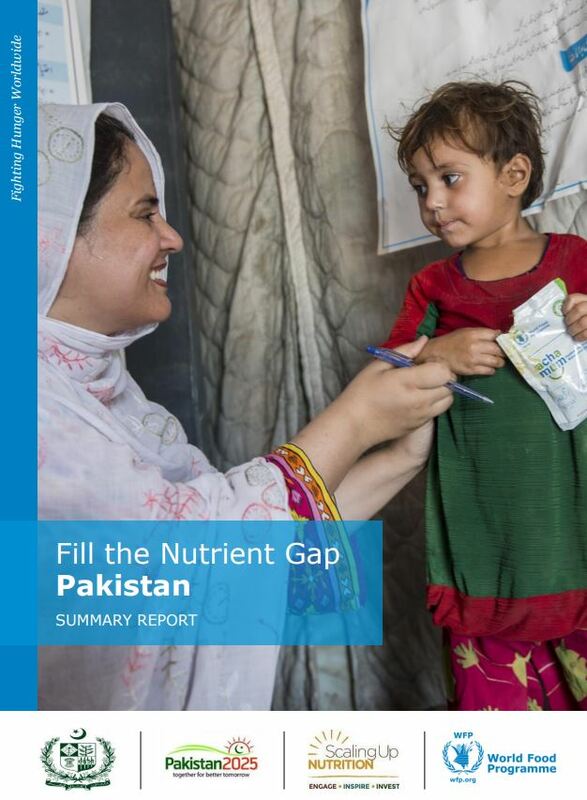 * WFP’s Fill the Nutrient Gap tool analyses the nutrition situation in a country and identifies the barriers faced by the most vulnerable to accessing and consuming healthy and nutritious foods. The project is carried out in collaboration with a range of national stakeholders and its results are used to inform policies and programming in social protection, food systems, health, agriculture, education and other sectors that can contribute to improving nutrition.